So…remember when I said I’d post pictures when the weather improved? Well, kind of a lot has happened since then. 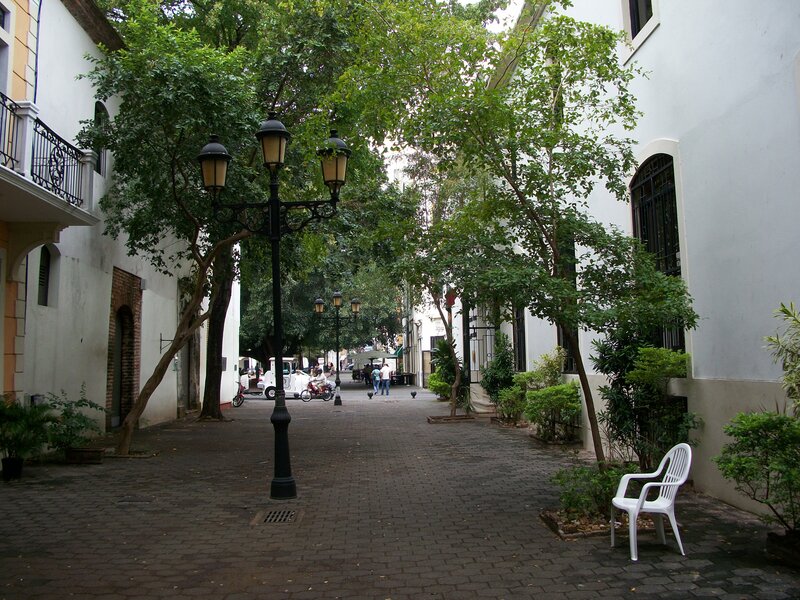 We spent a great deal of time in the Zona Colonial of Santo Domingo, which is beautiful. …but it’s what I got to do away from the tourist areas that was really fun on this trip. It rained all Sunday afternoon, so one of the ladies who works at the Academia de Ciencias called her friend to come and pick us up. We went to a grocery store, which is a cultural experience in any part of the world, and sat in the deli for a snack. Then we went to a bar, drank Presidente, and danced a bit of merengue. In the afternoon, there was supposed to be a public son dance, but it got delayed by the rain. They didn’t get started until almost 8:00. Since we knew that the other show we were going to wouldn’t start until later, we hung around for the first hour of that. Locals made it sound like it was just going to be a bunch of old farts blowing their horns, but they actually played really well and had a whole sound stage and portable dance floor setup. It was something. Naturally, it wasn’t just son, but plenty of merengue as well. Sunday night Paul Austerlitz played with his group. On my way in the door, Paul was kind enough to introduce me to his tamborero. “Call this guy tomorrow,” he said. “You should take a lesson.” The guy’s English was good, and since my Spanish is abysmally bad, that’s the only way I knew this could work. Still, if he hadn’t spoken a word of English, I would’ve tried. He and the group played a fantastic concert. Paul was impressive as usual, and he had a really tight band. These were obviously people he’d been playing with for years. So I did, I called him in the morning. I ended up spending most of my Monday at Julio Figureroa‘s home music studio learning an enormous variety of merengue variations for tambora and congas. He also called a friend over to teach me a bit about playing guira. 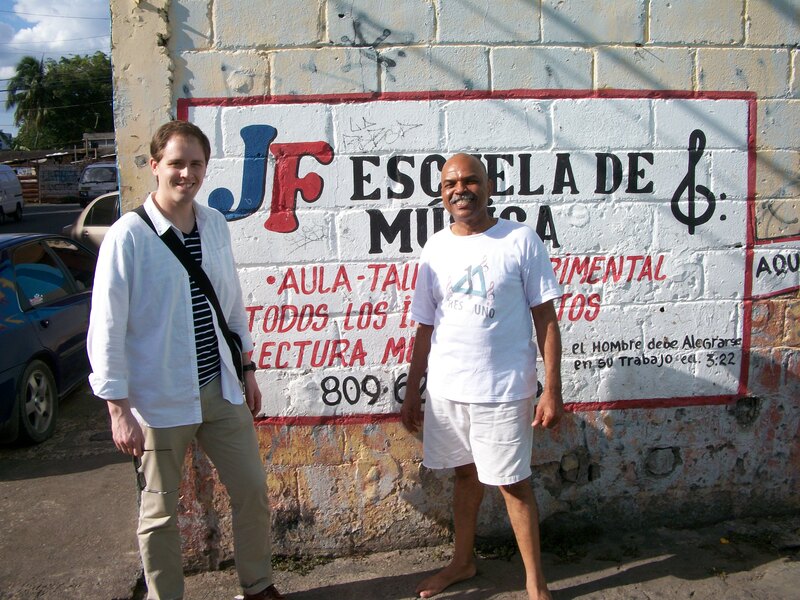 Julito is an incredibly warm and generous individual, and I thoroughly enjoyed my time with him. Monday night it was a quiet dinner and a bit of rest before an early flight in the morning. So it’s adios to one of my favorite places again for a while. Hope it won’t be too long before we meet again.